Curriculum Associates is a rapidly growing education company committed to making classrooms better places for teachers and students. We believe that all children have the chance to succeed, and this drives the decisions we make every day. Our research-based, award-winning products, provide teachers and administrators with flexible resources that deliver meaningful assessments and data-driven, differentiated instruction for children. 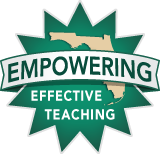 i-Ready®/Ready® Florida blended program offers an easy-to-implement, highly effective, research-based solution that leads to students’ mastery of the LAFS and MAFS. 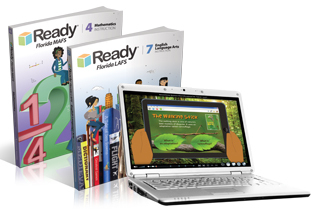 i-Ready Diagnostic & Instruction combines a valid and reliable adaptive K–12 diagnostic and individualized K–8 student online instruction in a single product. The adaptive diagnostic pinpoints student needs and is proven to predict performance on state assessments. It generates a combination of online instruction and downloadable teacher-led lessons unique to each student’s diagnostic result, creating easy-to-understand individualized instructional plans that differentiate instruction and support blended learning. Easy-to-read reports and ongoing progress monitoring ensure students are on track to meet end-of-year growth. Ready Florida, a rigorous instructional and practice program for Grades K–8, fully prepares students for the new Florida Standards in a highly supportive way, while providing teachers with step-by-step, point-of-use professional development. Ready uses a proven-effective gradual-release model that ensures students get the modeled and guided instruction they need to build confidence and mastery of the LAFS and MAFS. Ready lessons can be used during whole-class or small-group instruction to introduce a new concept or reteach a standard. Its comprehensive teacher support makes it powerfully simple for teachers to implement. Plus, teachers get access to a host of additional easy-to-access resources to differentiate instruction and address skill gaps with Ready’s Online Teacher Toolbox. Diagnostic and Growth Monitoring: Administer the i-Ready Diagnostic three times per year to capture comprehensive insight into student needs and inform both online and teacher-led instruction. Personalized Learning: Based on the results of the i-Ready Diagnostic, students are automatically placed into student instruction customized to their placement levels. i-Ready Instruction provides animated, interactive lessons that allow students to work independently on their personalized online instruction plan. Whole-class Instruction: Use Ready Florida lessons for on-grade level teacher-led instruction and additional practice after every lesson. Small-group Differentiation: Use Ready Online Teacher Toolbox to access a host of multi-level resources for teacher-led and student-led small-group differentiation and instructional rotations. Standards Mastery: Administer i-Ready Standards Mastery as students move through scope and sequence to capture information on mastery of individual, grade-level standards.